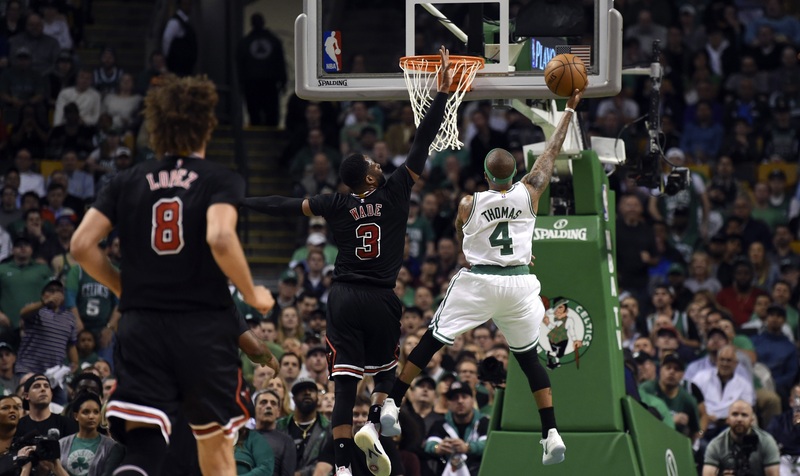 Chicago Bulls head coach Fred Hoiberg might regret his comments about Boston’s Isaiah Thomas. 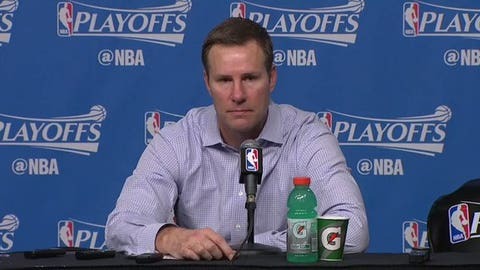 Hoiberg was booed for his perspective prior to Game 5 in Boston, and his remarks came up again in the postgame press conference. The Bulls coach answered a few questions before a reporter asked if Hoiberg saw Thomas carrying the ball on Wednesday night. I can’t really blame Hoiberg on this one. The question seemed designed to get a rise out of the second-year coach, so he removed himself from an awkward situation as quickly as possible. So what if he was a little bit angry? And on Tuesday night, Los Angeles Clippers point guard Chris Paul was left shaking his head by a reporter asking whether Paul expected the Clippers to force a Game 7, because apparently we’re just credentialing anyone with a pulse these days. Anyway, it’s good to know the postgame festivities will continue to amaze even though Russell Westbrook is no longer in the NBA playoffs.